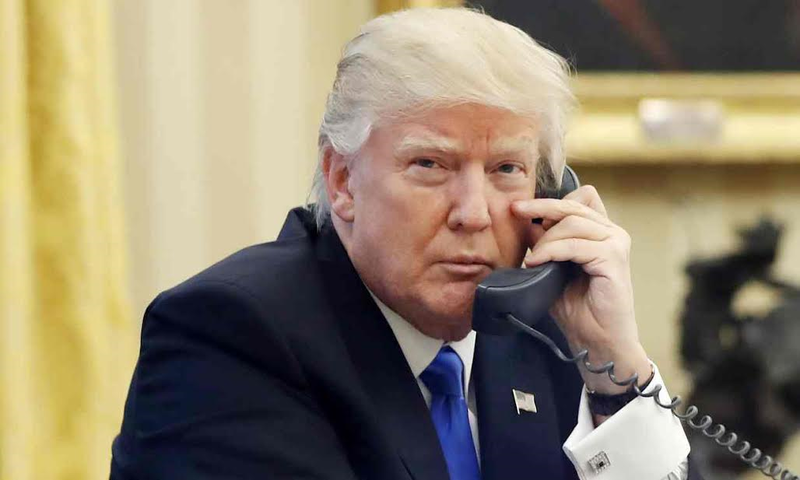 U.S President Donald Trump has decided to further heighten tensions with China, the world's second largest economy after snubbing China's leader Xi Jinping by not giving him an official phone call weeks after his inauguration, sending him a letter instead, despite calling over 18 World leaders. Donald Trump has spoken to Theresa May, Francois Hollande, Vladmir Putin, Angela Merkel and several world leaders since his presidential inauguration, and has repeatedly signaled he'll be very hard with China, whom he has accused of currency manipulation, unfair trade deals, militarizing the South China Sea and not doing enough to help the US deal with North Korean leader Kim Jong-un. Trump’s letter to Xi (which comes two weeks late) follows a “congratulatory note” sent by the Chinese president to Trump on his 20th January inauguration. 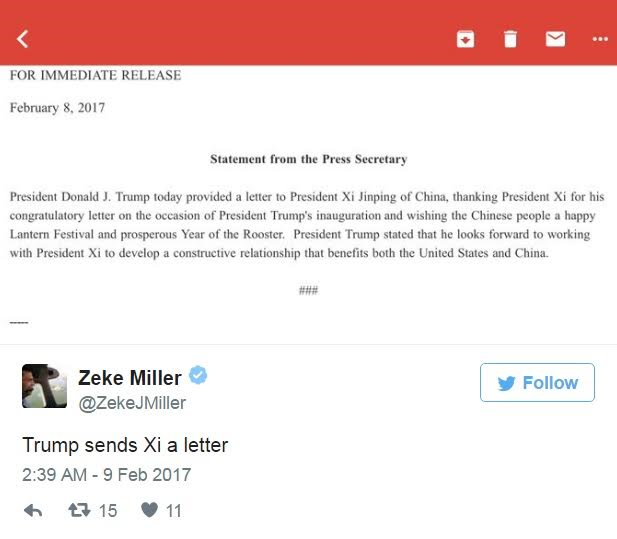 In a statement, White House press secretary Sean Spicer said Trump told Xi in the letter he was looking forward to working with him “to develop a constructive relationship that benefits both the United States and China”.